Steamer Trunk, Pillow and Hat Rack for sending requests to friends. You have joined forces with Indiana Jones in South America, searching for the Calendar of the Sun. 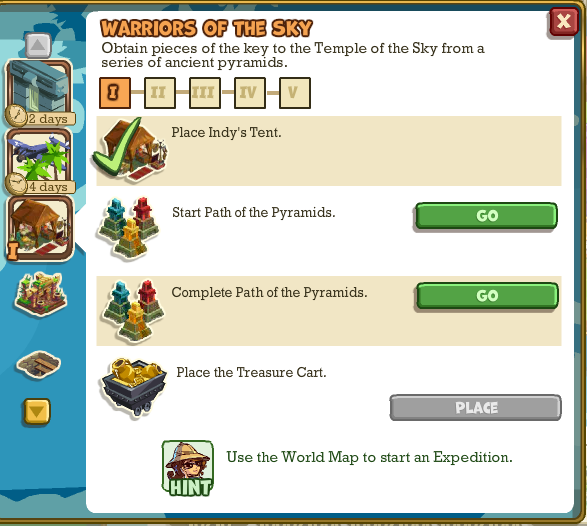 Together you were able to get past the snakes in Jungle Approach. 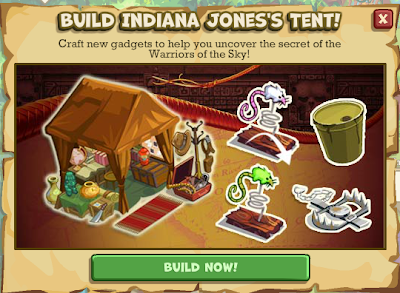 Now it is time to place and build a tent for Indiana Jones on your Base Camp. With it, you can craft additional Gadgets to use on your Adventures. 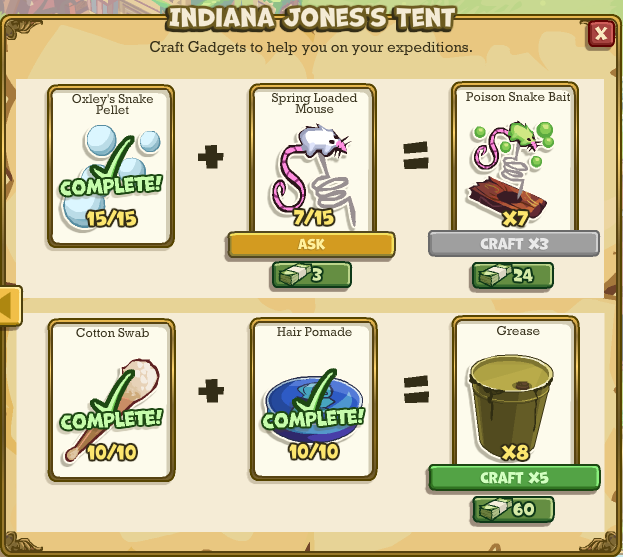 These are just a few of the new features that Indy is bringing with him. 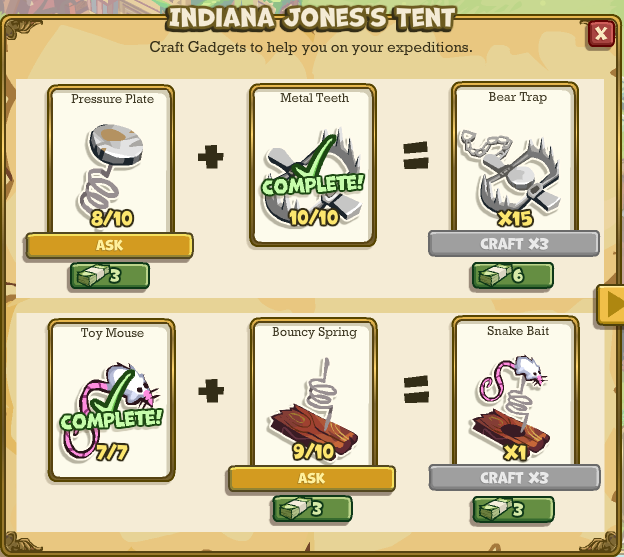 These new Gadgets include Ram Bait, a Bear Trap, Snake Bait, Poison Snake Bait, and even some Grease to help you with the many pushblocks. You will have the ability to tend the Tent on your Base Camp as well as when you visit your neighbors to receive Coins and XP. 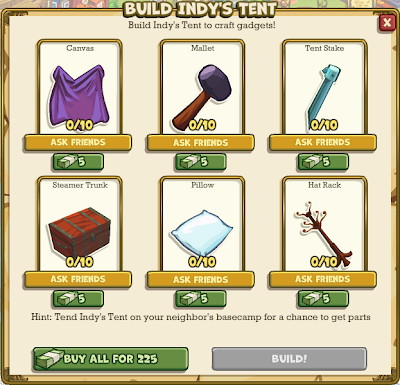 Depending on the Level of your own Indy Tent you can receive either a building part or a crafting part for one of many Gadgets. The Tent will be available if you are at or above Level 7.